Having recently merged with PolskiBus, this bus company is the best way to travel to and from Wrocław on the roadways. In addition to frequent connections to Kraków (departing every hour or so, with a travel time of 3-4hrs), FlixBus also operates an express line connecting Prague and Warsaw, which stops in Wrocław and Łódź en route and is definitely the best, cheapest way to travel between those cities; Wrocław to Warsaw takes 6hrs; Wrocław to Łódź 4.5hrs; Wrocław to Prague 5hrs. All buses leave from the main bus station, are comfortable and wifi-enabled. Schedules change too often to list here, but visit their easy to use website for booking and full details. I see that opinions and experiences colliding with the impressions of most of the posters here are not welcomed. What the fellow wrote down there it may sound bitter but, still, I see no fake information in it. This said, I definitely don&#39;t have an agenda, being a seasoned traveler from the other end of Europe. And, now, be shocked &#045; you you &#34;listen&#34; bad things about Polski Bus: I am a short fellow and still I fell like a canned sardine in here; now, the worst bit: never in my life, not in remote Armenia or Morocco, nor in Laos or Mozambique, I saw a bus with no curtains... trip from Warsaw to Wroclaw was a torment... sun in my screen, in my eyes... and the heat caused by direct sunlight. The bus made me motion sick, which is not usual at all with me. I really missed a little &#34;table&#34; just to put the netbook and my other little stuff on it. The bus looks pretty and so, but that&#39;s just the peal. I will try to avoid Polski Bus in the future, even if I won&#39;t refuse their services if I have to. But I will prefer most other options. 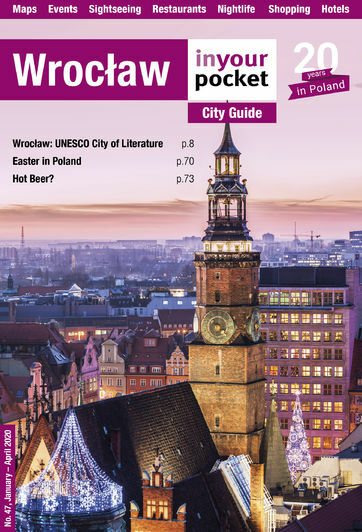 I have heard nothing but good things about Polski Bus, but I am also dissatisfied--dissatisfied that&#039;s there&#039;s no connection between Krakow and Wrocław. Please, Polski Bus, hear my plea and add this connection your services! I&#039;ve seen Fasjask post on a number of sites. I know he has his own coach company that is loosing customers to Polskibus. That&#039;s his agenda ok, but I have used the and the are great. Fajasek could not be more wrong, this is a great company. Great services, best arround buy far. Fajasek ? I think you must have an agender, I have used the service each month from the start. No missed trips. no bus stop changes, and no problem getting a refund. So I dont know what your talking about. There the best. PolskiBus looks good on the surface. But I am advising against using it. It is notoriously unreliable. It sends out misleading emails. They change the bus stops every month. They never reimburse you for any unused ticket. Every mistake by the customer is mercilessly exploited by PolskiBus. You never see your money again.